With Sixt car rental at Brindisi Airport you can be sure of an excellent car rental experience. If you check out our price comparison you can see that we can offer you great value on a cheap car. No matter what rent a car you're looking for, you can find a suitable rental car with us. We have a comprehensive range of rent car vehicles, from luxury models to a city car. Our rent a car rates are excellent and we are sure to offer you a quality car rental experience with great customer service. Sixt car rental from Brindisi Airport is the ideal way to rent a car and see the local area. Our rental desk is easily visible at the airport, there our staff will be happy to support you in every needs. Formerly known as Papola Casale Airport and also known as Aeroporto del Salento, this airport is located in Southern Italy in the Puglia region. The airport was named after Antonio Papola, a local civil aircraft commander who died in a flying accident in the 1930s. Although the terminal is located close to the town itself there are many other beautiful places to visit locally so car rental from Brindisi Airport (BDS) is a great idea. With Sixt car rental from Brindisi Airport you can get out and about to discover this lovely region of Italy. 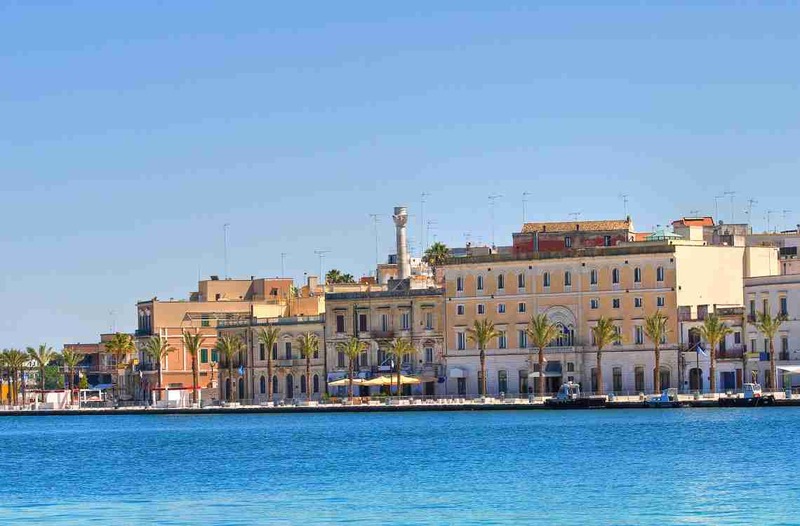 Brindisi is one of the main cities of Puglia in the center of the Salento area. The city has historically played an important role in trade and culture, due to its fortunate position towards the East and its natural harbor, which still exists, on the Adriatic Sea. Among the most important monuments are the Svevo Castle, also known as "the Big Castle" or Castello di Terra, built in 1227 by Frederick II as a fortified residence and for his garrisons, and the Castello Aragonese, strategically located at the entrance of the port of Brindisi, with its structure formed by the Red Castle (1492) and the Forte a Mare (1583). Find out more about the Roman past of this area at the Museo Archeologico Provinciale Ribezzo which contains a fascinating collection of artefacts. Admire the beautiful views over the town from the Castello Svevo or take the short drive to Lecce and visit the well-preserved Anfiteatro Romano. We look forward to helping you to explore this lovely area in your value rental vehicle. You will receive your rental car at the Sixt branch, which is located in the arrival hall. Go out of the arrivals hall, turn left and straight on for appr. 150m until you get to the Sixt parking area. When arriving at the airport to return the vehicle, please follow the directions to the car rent return in Contrada Baroncino. At the roundabout take the second exit, after 20 meters you will find our parking on your right. Once in the Sixt parking area, leave the car in one of our Sixt spaces and drop off the keys directly at the Sixt counter. If any Sixt park agent is present, please make sure you drop the keys of the vehicle in the specific key box into our check in cabin located inside our parking. The key box is located at our Sixt check-in cabin located inside our parking.